Planst du einen Trip nach Austin? 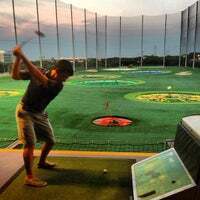 Being fairly new to Austin, Top Golf is the perfect place for a friends night out. The vibe of the complex is great. Even if you aren't a golfer, it is still a fun time. They also serve food & drinks! We've already been a few times. Come before 6 and bring 3-5 people with you. The service could pick up a little, though our first visit, our server was fantastic. Wish I would have caught his name! Genius idea for family bonding. Friendly people, cozy chairs, tasty food, and one nice place to work on that golf swing. The fries and drinks are splendid. It's modern and clean. I highly recommend!! Fun times, picture perfect fried egg burger, all appetizers were tasty too. Their Linux based scoring system crashed once though. 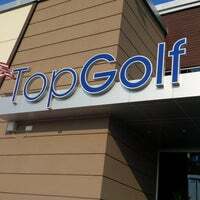 $229 for 7 people with many rounds of beer, golf, food. Good deal. Had an excellent time. The concept is amazing an unique. The atmosphere was electric, everyone having an awesome time. Food was very good also. Aside from the golf, this is a great place to have a small group meeting. Wi-Fi available and there's a small separate seating area by the bar where you can get together. Try to get the 3rd floor bays at night. 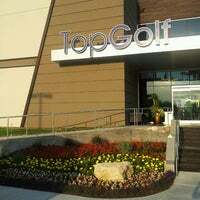 The Top Golf Scramble game is fun for teams with different skill levels. If you go on the weekend, expect at least an hour wait. Great place to hang out! 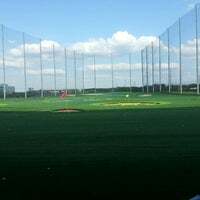 Weather you just want to play alone and work on your game, entertain some clients, or have fun with your friends, you can do it all at top golf! It's a fun place to go with friends plus decent food and drink options. Even fun if you're not a golfer. That said it gets crazy busy so plan accordingly! 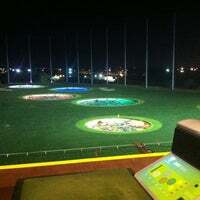 Awesome place to pass some time playing golf and eating something with friends and family! Totally recommended! 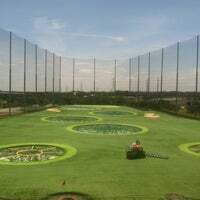 Fun place, even if you're not a golf pro! They have little challenges besides seeing how far you can drive the ball. 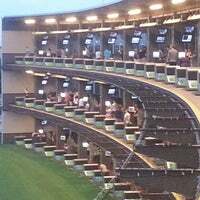 Of course, try to get an upper deck! Decent fare that feels a little over priced but hits the spot. Great mixed cocktails that are also a little pricey but right on the money. With good company, this is a fun and funny experience. Fun activity even for beginners. The wait was about 1.5-2 hours on a Sunday afternoon but the wait went by fast with the pool tables, Xbox, etc. Awesome place! Great vibe! 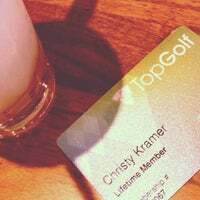 Getting the one time fee of $5 life time membership took an unusually long time! But the staff are great! Wings are good. Music is loud and kinda crappy. Awesome place. Service can be hit or miss. The computer system is powered by a bag of farts. Great concept and I'm a fan of this place. Epic, bizarrely fun experience! Slow service and bad food, and valet parking is completely overdoing it, but great beer selection and fun every time. Beautiful and modern facility with great customer service. Get a 3rd floor spot if you can and order the buffalo sliders! Get the Injectable Donut Holes. a little messy for golf but dam good for breakfast lunch and dinner. Great place- the buffalo spring rolls are the best ! 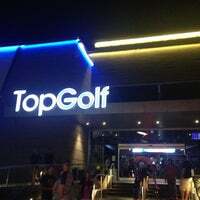 Lots of fun to be had at a Top Golf ! Amazing food. Every flat bread is delicious- lovin' the steak though. Most fun I have had playing golf in a while. You cant hit a bad shot. I suggest going during off hours to keep it cheap. Excellent entertainment and service. Surprisingly good food too. Overall lots of fun. Great place and excellent service. Our computer messed up so we got a free round of beers and a free hour of golf! 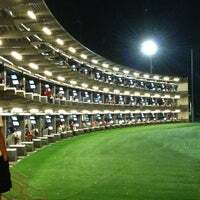 This is a driving range run like coolest bowling alley ever. Not very golf-y but a great place to play. 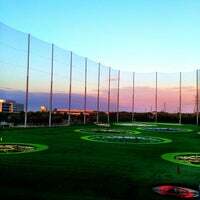 Top golf is so much fun, the environment is ridiculous. You won't wanna leave the place! Great food! Totally recommend the Cajun Gumbo! Great spicy taste! Great experience. 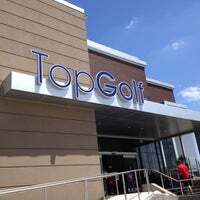 Friendly staff, quick service and an amazingly fun game. Get a carafe of Mimosa's - great treat on a Sunday morning! Ask to be sat in Jonathan's area! Awesome service! Super fun guy. 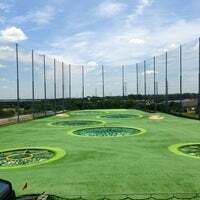 Makes golf super fun, especially for first-timers! Order the baseball bat for the computer system. Apply the bat liberally. Make sure to ask for Kelsey as your host. Great atmosphere food and drinks. The place to be. The golf is accurate, the vibes are great! Super fun all the games are great. 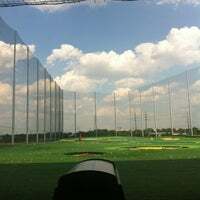 Super cool spot to hang out and hit golf balls with technology! 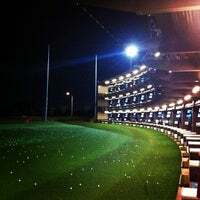 Perfect to practice golf and get together with friends!!! The service here is awful. I could waste my time and explain, but as someone who works as a bartender, who has been for over 5 years, I think I know a thing or two. Avoid if you're coming to eat. Really good food but too much! Interesting mushi, Mexican sushi. One of the best places to go in Austin... So much fun! If you have a party of 3-4, get your bay for at least 2 hours. Great place for a good time, but the parking is terrible! "Great veggie burgers, tasty white wings, awesome Parmesan fries...too much goodness to list." "The acron squash with barley filling and tomato sauce makes a great brunch"
"Get the co-op sampler if you're a little overwhelmed by the beer selection. For food, the portobello and chips is amazing!" "Perfect after your business day or an afternoon of shopping, we look forward to serving you! 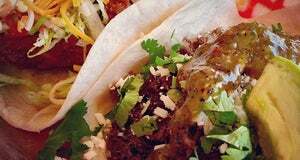 Dinner and lunch menus, sushi menu and happy hour specials." "Food was amazing. Whoever came up w/ the Greek salad w/ watermelon deserves a tap on the shoulder. The pool table is solid. The karaoke rooms are the best. They charge your phone, for $4 🤔"
"It's a great place. Happy hour specials are excellent. One of the best burgers I have ever had. They have food specials Nightly, the burgers were only five dollars. Normally 950."